The Icons of Pinoy Music Gather for One Big OPM Concert! A one big night event featuring the hit makers of Filipino music is set to dominate the SM Mall of Asia Arena this June. After the Mother Monster Lady Gaga conquered the newly opened Arena, it's now time for the Filipino artists! The country's biggest names in the music industry come together in a once-in-a-lifetime one-night grand concert titled “Icons at the Arena: Masters of OPM.” This is inline with the celebration of greatness and ingenuity of Original Pilipino Music (OPM). It is a multi-generation concert as the artists of the Philippine music came from different generations. Lea Salonga, Gary Valenciano, Martin Nievera, Jose Mari Chan, ZsaZsa Padilla, Ogie Alcasid, Regine Velasquez, Basil Valdez, Freddie Aguilar, Christian Bautista, Erik Santos, Juris, Jed Madela, Piolo Pascual, Bamboo, Arnel Pineda, and the singing group, The Company comprise the Icons' concert! 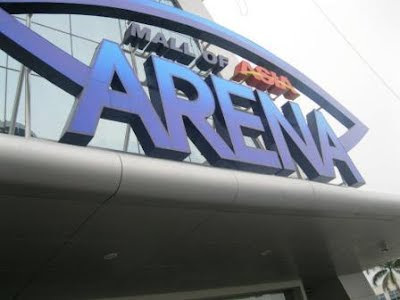 Hosted by Jim Paredes and Pops Fernandez, “Icons at the Arena: Masters of OPM” will also be graced by comic TV personalities Pokwang, Jose Manalo, and Wally Bayola, Staged ABS-CBN’s Star Events, this will be held on June 16 (Saturday), 8pm at the SM Mall of Asia Arena, with Johnny Manahan as director, and Ryan Cayabyab as musical director.